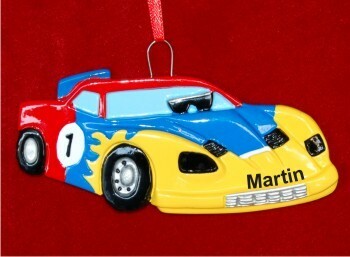 Car races can trace their origins to the late 1890s in Paris. 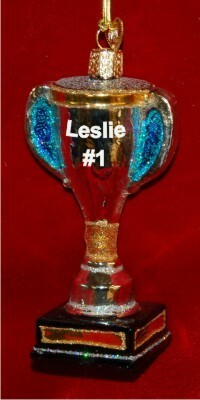 Several races were conducted, usually with the intention of drumming up attention for the sponsors' products. Stock car races in the US have their origin in the history of American bootlegging. The bootleggers' cars were modified to be faster than the cars of the local Sherif and police. On occasion, bootleggers would get together and race, vying for the unofficial title of "fastest car on the asphalt". By the 1930s, several horse racing venues had been converted to car racing venues, with local celebrities born out of these winner circles. Nascar was born in Florida in 1949, and since that time, car races have been held all over the world. 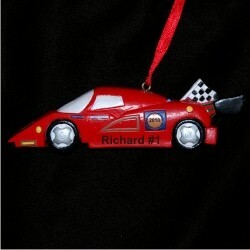 We offer our auto or car racing ornaments principally for kids who love to see cars go fast. 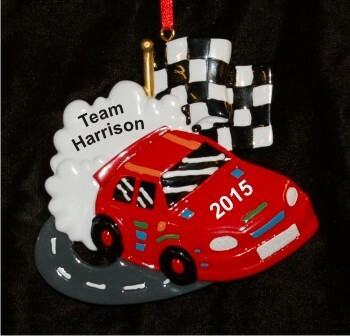 Personalize any racing Christmas ornament with the recipient's name and the year. 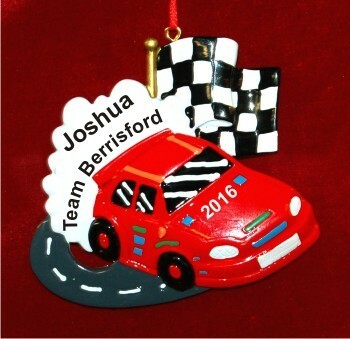 You can also personalize several ornaments with their car racing hero's name and/or your custom sentiment on the reverse side.